Homemade dessert at my welcome dinner. I knew it was going to be a good visit! Months ago, I received an email from one very enthusiastic mom asking if I could fit in an SFT stop at her children’s school in Yucaipa, CA. After a bit of schedule shuffling I confirmed my arrival with the principal and we began planning. 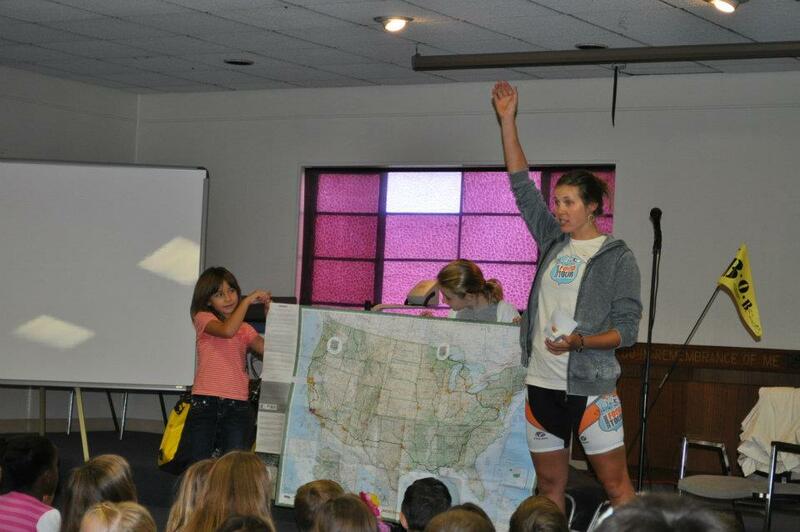 I was immediately impressed with Yucaipa Christian School (K-6) due to their dedication to cycling. 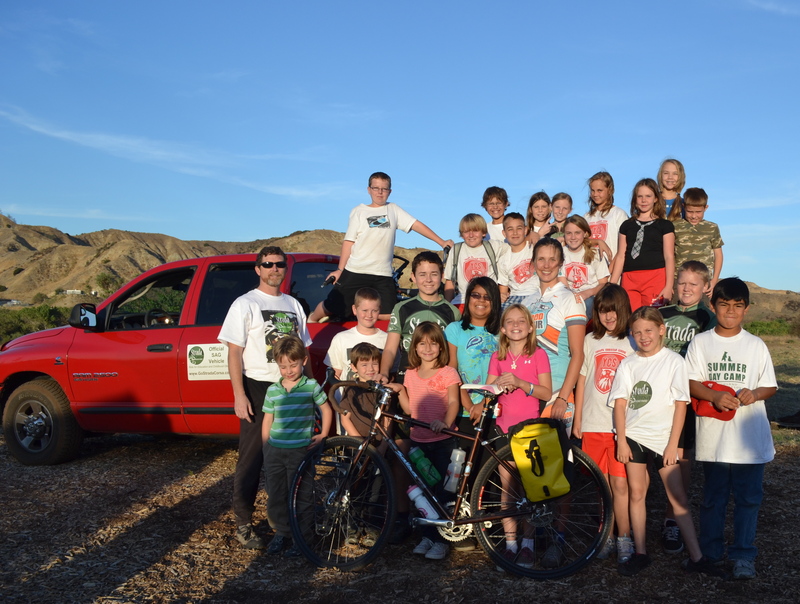 Get this – each year the school’s bicycle club takes a tour from Yucaipa to Phoenix! That’s 350 miles; a long ways for elementary school kids. I was excited to speak with classes who already had a concept of what bicycle touring entails and these students did not disappoint. The young audiences were full of thoughtful questions and were very engaged in my trip and curious about my mission. The class presentations were great but the best part of the day came after the bell had run. Kids streamed down the hall decked out in bike shorts and jerseys to meet up for a ride to the local Three Sisters Organic Farm. 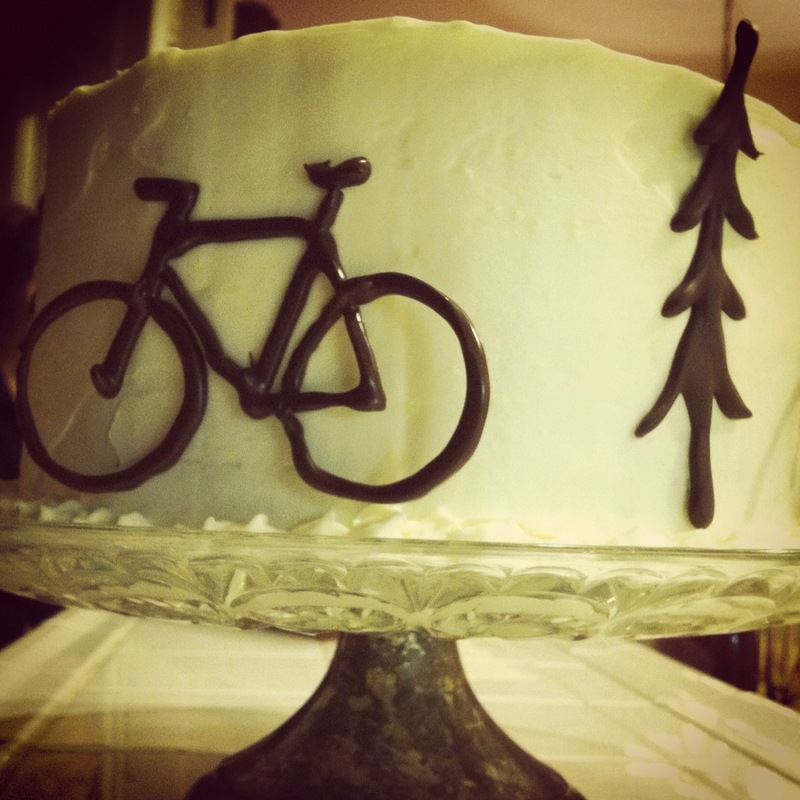 The fast group set off first – we were going to pedal the entire 12 mile route – while the less experienced riders cycled about half way and were then shuttled out to meet us at the farm. 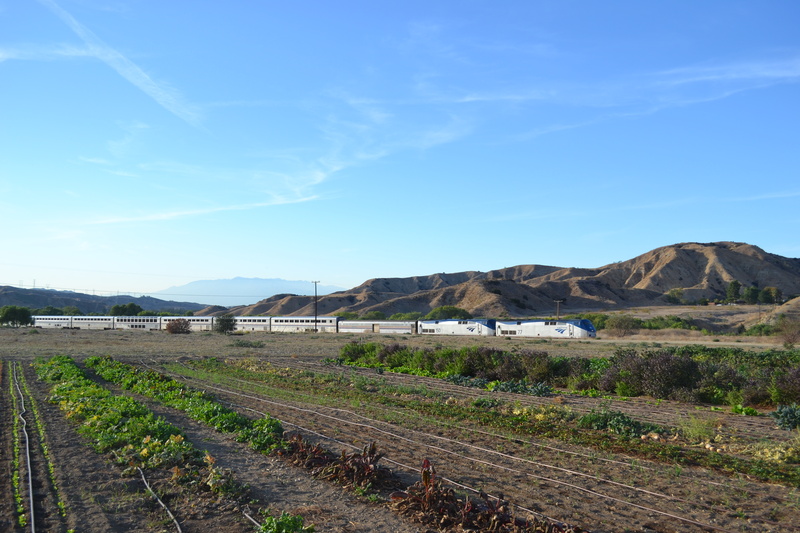 Three Sisters Organic farm is a small family-owned operation. 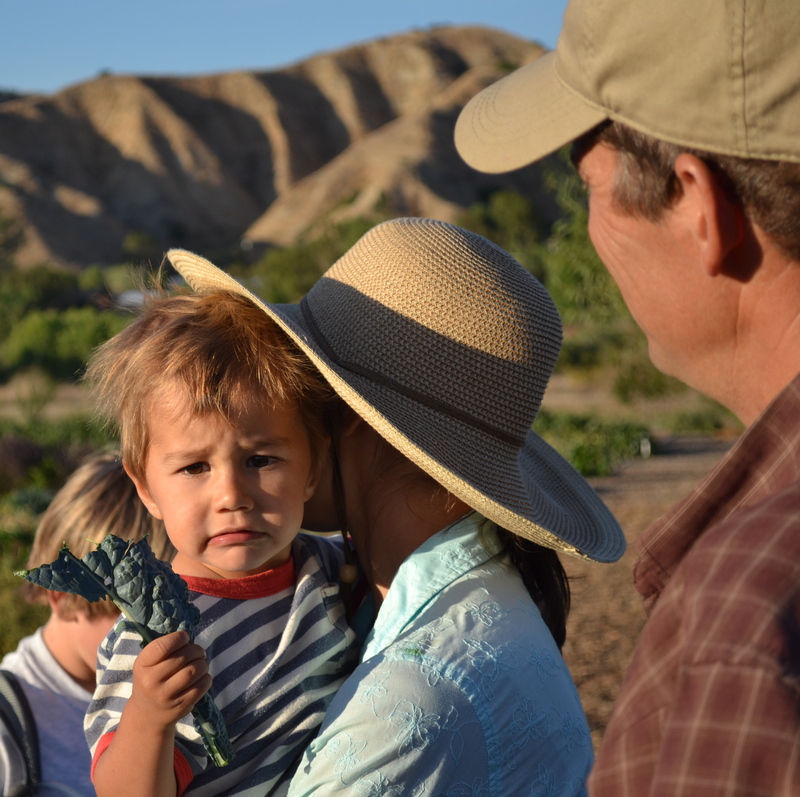 Abby and Jason along with their two kiddos met us at the driveway and after a quick introduction on the patio of their straw bale home, we took a walk around the property. 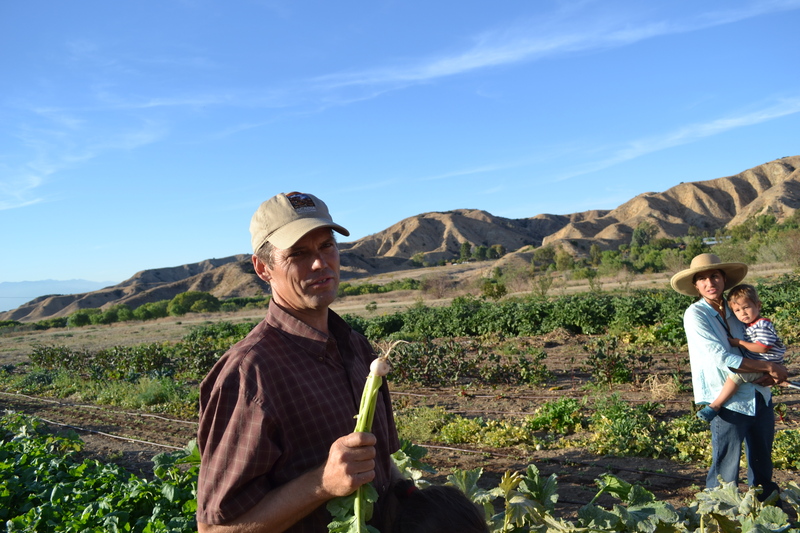 Three Sisters is a certified organic farm and uses biodynamic farming techniques. 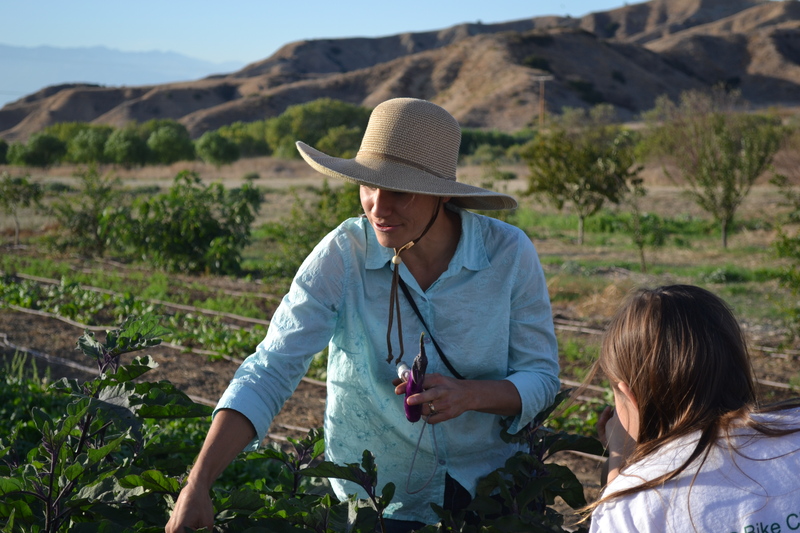 Our students tasted basil, kale, arugula and other tasty treats during the tour and were amazed at the flavors, smells and textures that accompany farm life. Abby point out some delicious eggplant. The train passing by was a fun addition to the afternoon. Jason pulled a turnip out for the kids. The day concluded with a group photo and promises to stay in touch. Had my timing been better, I could have participated in the Go Strada Corsa Lynn Pletcher Memorial Ride the following weekend. 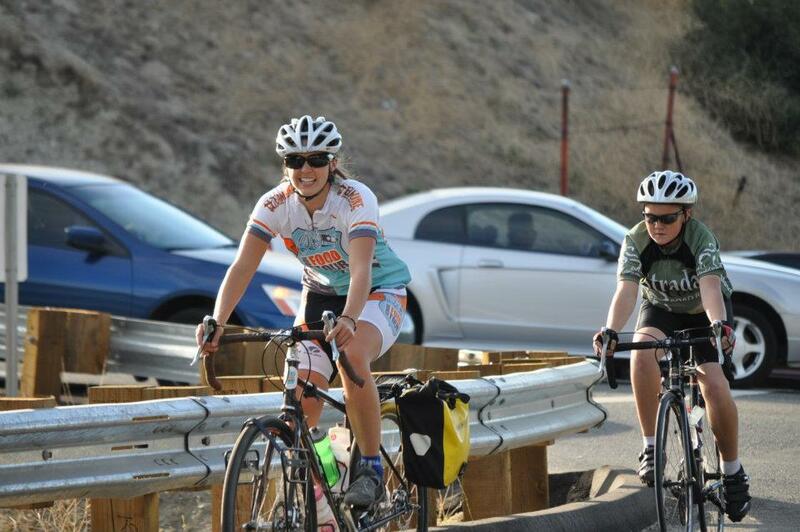 This event is a road ride fundraiser for the bike club and childhood obesity programs in the valley. I hope the weather was great. Huge thanks to the students and parents at Yucaipa for making me feel so very welcome in your homes and school! 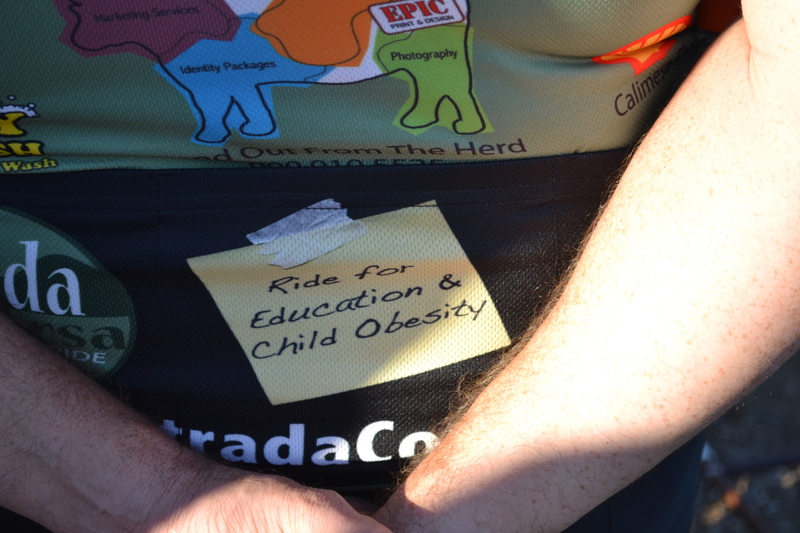 Riding for childhood obesity. Awesome! 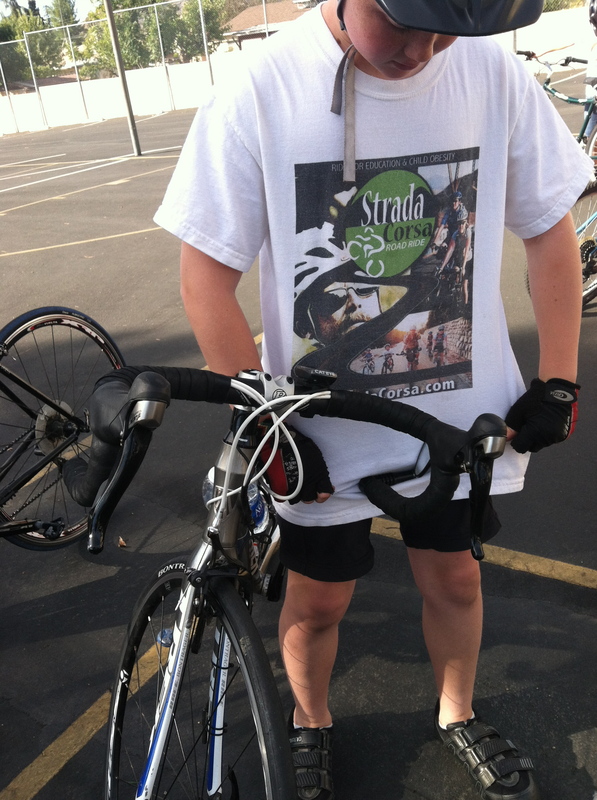 A young Strada Corsa rider!